Talking FACS - Who Are We? Making healthy food choices while traveling can sometimes be challenging. This week Dr. Jennifer Hunter and Dr. Heather Norman-Burgdolf share tips for enjoying healthy eating while on the go! Not only do they discuss ideas that will increase your odds for choosing healthy options but their tips might save you a little cash, as well! Vaccinations are one way that we can protect ourselves and our children from diseases. What are vaccines? What happens when we get a vaccination shot? Are the vaccinations you received as a child still effective? This week, Dr. Jennifer Hunter and Natalie Jones sit down to answer all these questions and more. Building strong relationships is tough. Conflict can be a stumbling block to building a healthy relationship. This week, Dr. Jennifer Hunter and Dr. David Weisenhorn discuss ways to deal with conflict in a relationship in a healthy way that will strengthen the bonds. Have you heard of the Keto Diet? If you have spent any time on social media, you've probably seen lots of posts referencing this diet; but, do you really understand how it works and the processes your body is going through when you follow this type of diet? Listen in to this episode of Talking FACS as Dr. Jennifer Hunter and Dr. Heather Norman-Burgdolf explore the science behind the Ketogenic Diet. Sugar is everywhere! In this episode of Talking FACS, Dr. Jennifer Hunter and Dr. Heather Norman-Burgdolf delve into the low down on sugar. They talk about sugar's role in our bodies, as well as how consuming too much can lead to serious health conditions. They wrap up their discussion with realistic ways to reduce sugar in the diet. Probiotics, prebiotics, symbiotics, oh my! In this episode of Talking FACS, Dr. Hunter and Dr. Norman-Burgdolf are talking about the bacteria in your gut! Listen for an informed discussion about the gut bacteria and its impact on your overall health. All the terms mentioned in this discussion can be found in the full episode transcript. Some people think that going "Gluten Free" may help them become healthier. But do you really know what gluten is? This week on Talking FACS, Dr. Heather Norman-Burgdolf shares with Dr. Jennifer Hunter some of the truths and misconceptions about gluten and the role that it plays in a healthy diet. Making your Fitness App Work for you! With more than 320K fitness apps currently available for download, selecting the best app for you can be a bit daunting. This week, Dr. Jennifer Hunter visits with Natalie Jones to discuss the key components of fitness apps that can make your fitness journey successful. 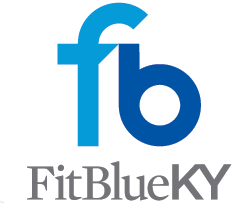 Download the FitBlueKY app from the app store on your device. This week, Dr. Jennifer Hunter sits down with our Extension Health Specialists, Dr. Heather Norman-Burgdolf and Natalie Jones to talk about essential oils. Based on the research, they talk about safe application and use. They also share information about individuals who SHOULD NOT use essential oils. Throughout the discussion, they highlight the importance of talking with your healthcare provider about your use of these products. When weather and health issues cause schools to shut down, there is always the the threat of bored children. While boredom may lead to inspiration, it never hurts for parents and caregivers to push the needle a little toward the inspire end of the spectrum. This week, Dr. Jennifer Hunter sits down with Dr. David Weisenhorn to discuss ways to creatively inspire children right out of boredom and straight into learning. Welcome to Talking FACS: What you need to know about family, food, finance and fitness. Hosted by the University of Kentucky Family and Consumer Sciences Extension Program.